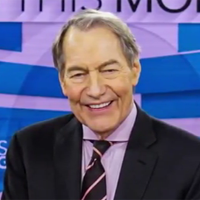 "A short time ago we terminated Charlie Rose’s employment with CBS News, effective immediately," CBS News president David Rhodes announced today of Rose, who co-hosted CBS This Morning and contributed to 60 Minutes. "This followed the revelation yesterday of extremely disturbing and intolerable behavior said to have revolved around his PBS program. Despite Charlie’s important journalistic contribution to our news division, there is absolutely nothing more important, in this or any organization, than ensuring a safe, professional workplace—a supportive environment where people feel they can do their best work. We need to be such a place. I’ve often heard that things used to be different. And no one may be able to correct the past. But what may once have been accepted should not ever have been acceptable."